Each level has several projects from which instructors can choose according to their own particular class needs. 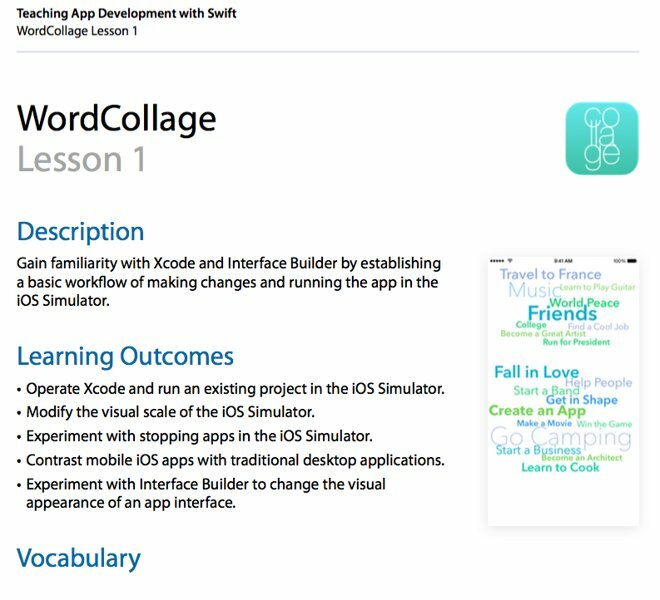 At the end of the course —designed to be taught in one semester over 15 weeks —students will be able to achieve 10 specific learning outcomes, from defining basic terminology to building a fully functional iOS app written in Swift. These goals are progressively achieved as students progress through each level's projects, which each have dedicated lessons that are designed to teach particular concepts through hands-on learning with Xcode.